CLEVELAND, OH (WOIO) - It was announced today that Wahlburgers will open at the corner of Prospect and Ontario in the storefront directly across from JACK Cleveland Casino in early spring of 2017. The show with the same name on A&E will "likely be filmed at the grand opening in the spring but that is not confirmed," said JACK Entertainment's VP of Communications Gayle Joseph in an email. The show gives a behind-the-scenes look into one of Boston's most well-known families, the Wahlbergs. "Brothers Mark and Donnie head back to their hometown to join forces with their professed 'most talented sibling,' Paul, in their tasty business venture. An homage to their humble beginnings, the hamburger restaurant is home base for the gang from the old neighborhood, including the real Johnny "Drama" and of course their spirited mother Alma," it says on the show's Facebook page. The restaurant serves fresh burgers, sandwiches, salads, vegetarian options and 15 homemade sauces, all made with fresh ingredients. The menu was inspired by recipes served in the Wahlberg family kitchen and influenced by Sunday suppers shared with family and friends. "Now that Cleveland is a championship city once again, it's time for a championship burger destination in the heart of downtown," said Mark Wahlberg in a statement. Wahlberg joked with Cavs owner Dan Gilbert on Twitter on Tuesday just before the announcement. 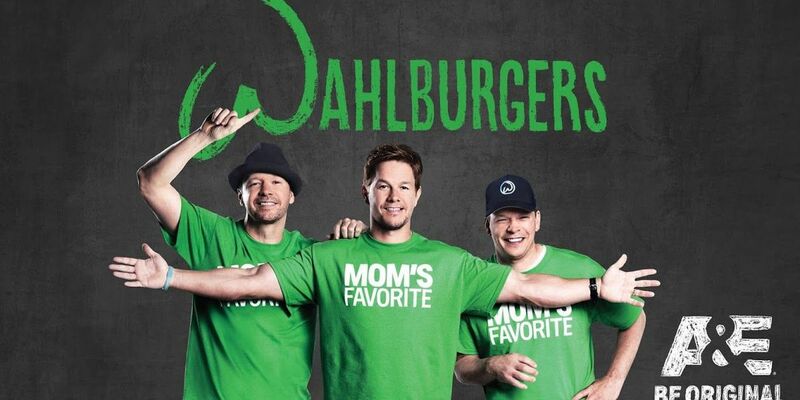 "Wahlburgers is the latest in a long line of companies that are contributing to the success of downtown areas, like Detroit and Cleveland," said Matt Cullen, chief executive officer, JACK Entertainment. "Cleveland is home to many businesses in our Rock Ventures Family of Companies, including JACK Cleveland Casino and our 2016 NBA Champion Cleveland Cavaliers. We are delighted to partner with the Wahlberg brothers once again on this exciting venture."